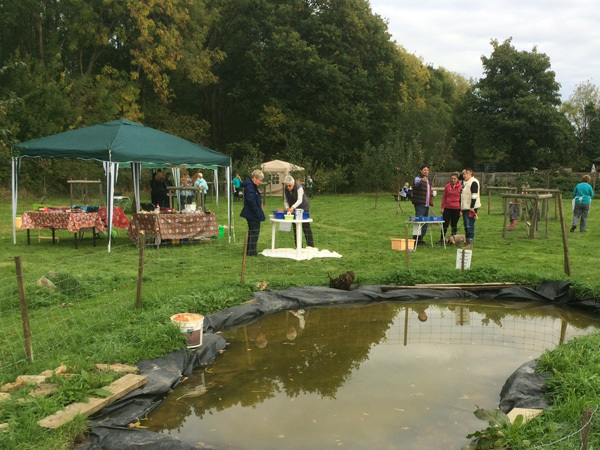 The Community Orchard Open Day, organised by the Friends of Bourne Wood, was well attended and thoroughly enjoyed by those who came. 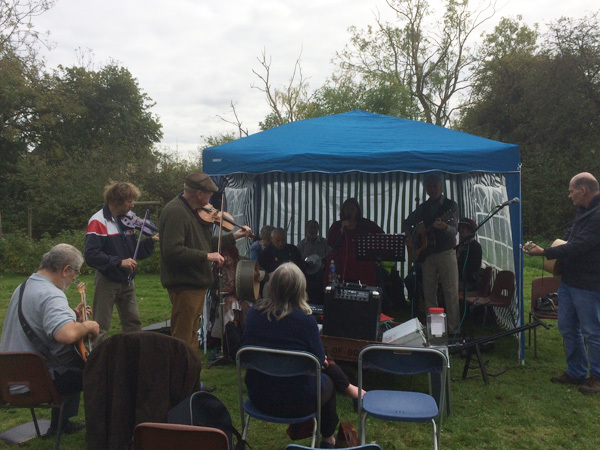 There was live music from Bourne Folk Club, who play regularly at the Masons, Bourne and Wishing Well, Dyke. They played two sets of lively music – a mix of Irish, Folk, Country and traditional tunes. People could either sit and listen, or wander and enjoy the ambiance of the orchard – or even dance as some were doing! Bourne Folk Club played two sets of lively music – a mix of Irish, Folk, Country and traditional tunes. At lunch time the committee cut the cake celebrating 20 years of the Friends group, and this was shared amongst the helpers, with any excess supplementing the delicious cakes from the cake stall. Teas and coffees were available to wash them down. At lunch time the committee cut the cake celebrating 20 years of the Friends of Bourne Wood. Children could try their hands at pebble painting or picture colouring, and while waiting for these to dry were able to play some traditional games, which adults also enjoyed. There were also craft stalls and a plant stall. 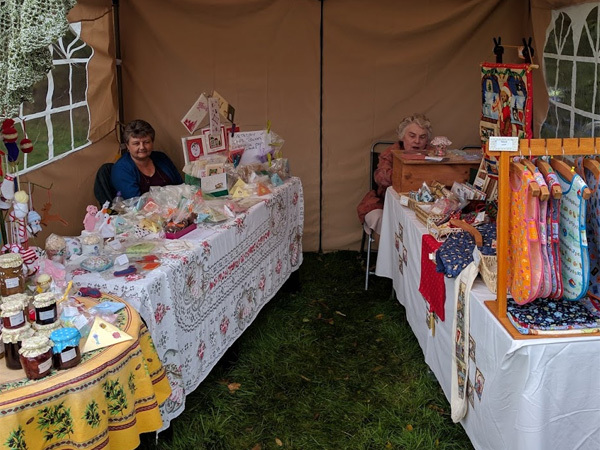 There were also craft stalls and a plant stall. A huge ‘Thank You’ goes to Dean Hardy and the other musicians for their entertainment and to all our other volunteers who helped set up and look after the stalls on the day. Photographs Steve Goddard and Richard Jefferson. 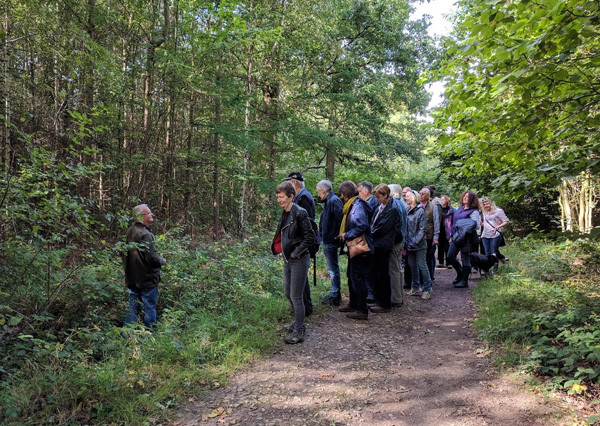 Around 25 people enjoyed a sunny Sunday afternoon walk looking at the fruits and nuts produced by trees, shrubs and plants within the wood. 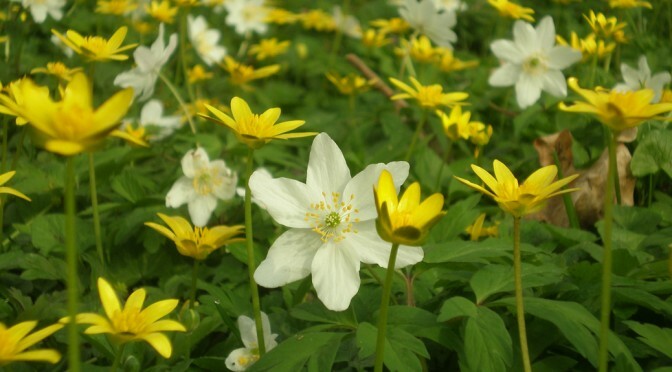 The first shrub was an elderberry, with mention of using the fruit for jellies and syrup, and also the flowers for cordial, this was followed by a search for mast under the beech trees. 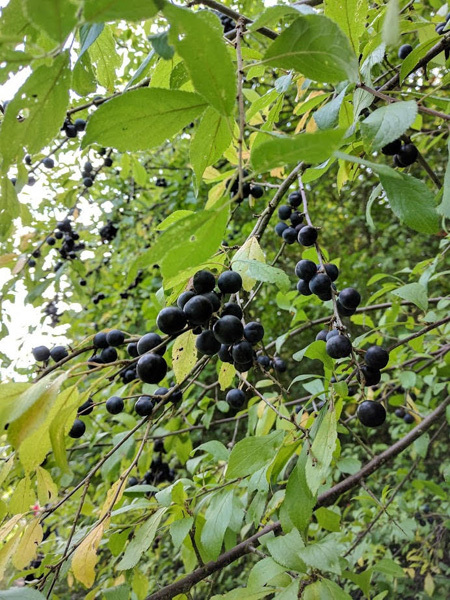 Continuing we studied the dogwood, which has its cultivated cousin in many gardens, larch trees with their cones, and the common blackberry or bramble – which apparently has numerous varieties. The blackthorn which produces the fruit sought after by so many to make sloe gin. We moved on to look at blackthorn which produces the fruit sought after by so many to make sloe gin, oak trees searching for the many types of gall and hawthorn with its brightly coloured berries so attractive to birds. Various other species were discussed as we continued our way, including yew, guelder rose, rowan and crab apple. 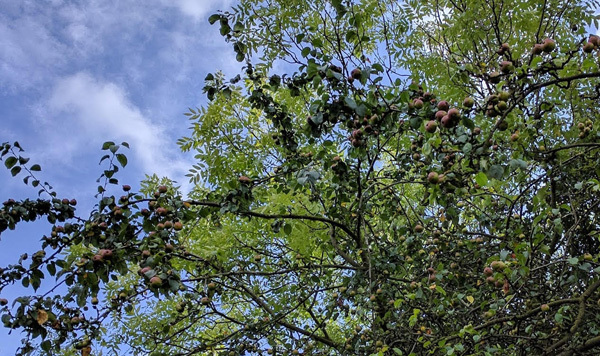 Beautify blue sky, and numerous crab apples. On the way back we stopped to look at the wild service trees (which the group has as its emblem), these trees were planted on boundaries, have lovely white flowers in the spring and berries which can be made into jellies, although being brown in colour, are not very attractive or appetising! 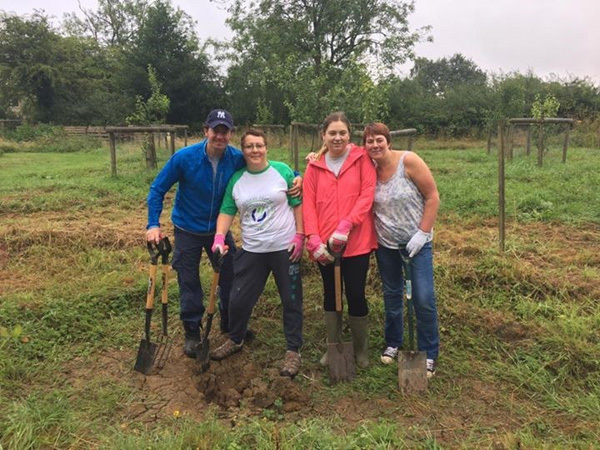 The Friends of Bourne Wood have been in the process of creating a wildlife pond in the Community Orchard for several months. This has now become a reality thanks to support from Bakkavor with a couple of work parties. 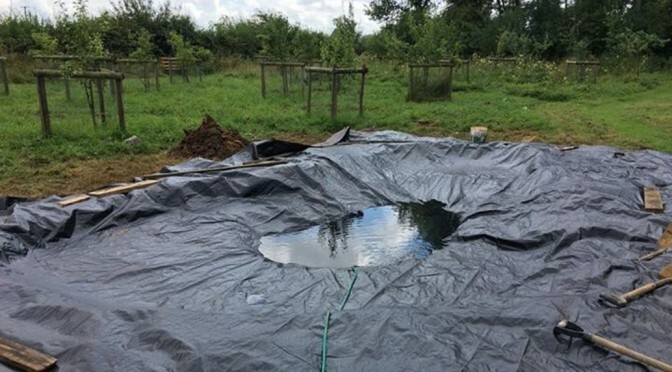 The pond was started in November 2016, after the liner was donated by the Forestry Commission, but adverse weather stopped play, so finally last week it was completely dug, with the liner fitted and filled with water. 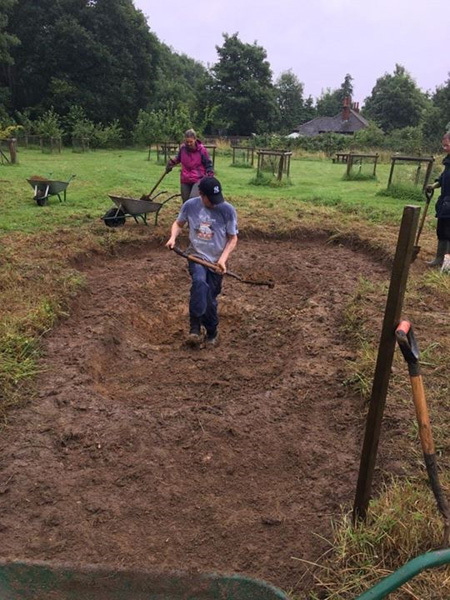 Everyone seemed to have great fun digging the pond, and it has been great to see it completed and full of water. There is still plenty to do, with plants still to be inserted, and the area made secure. 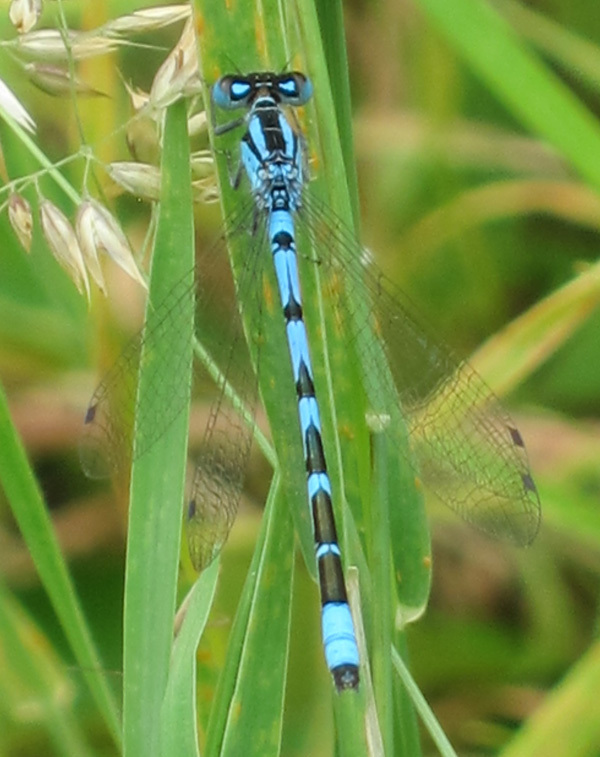 Those visiting at the weekends can see the project develop further, and hopefully enjoy the wildlife attracted when completed. 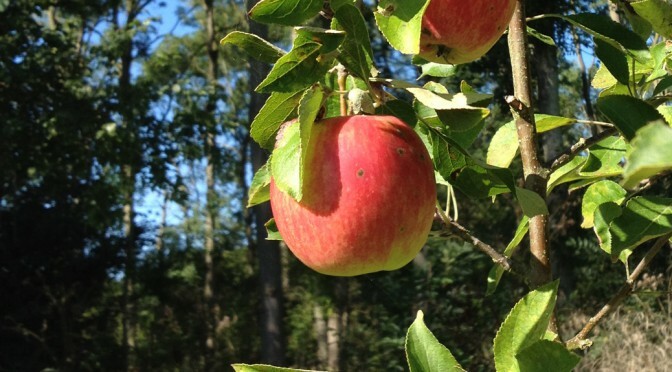 The orchard is open on Saturdays, Sundays and Bank Holidays 10am to 6pm (dusk in winter). There is a work party every Saturday morning from 10am to 12pm, for general maintenance of the orchard – which anyone is welcome to join. Jennie Beasley, and to Cindy and Mick Curtis for managing the project. One area is off Cedar Drive and although access is allocated to be off Cedar Drive – who knows what will happen in the future. Additionally it is a greenfield site, a very wet field, and brings housing closer to the wood reducing the green belt around the wood (at the moment this is a grass field with cattle). 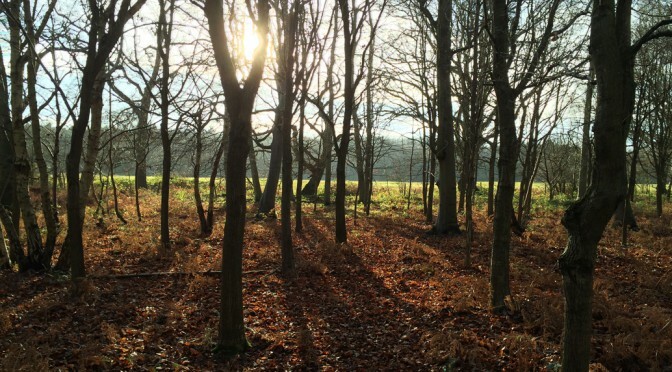 There is also an allocation off Beaufort Drive – again this will mean an increase of traffic – access is not defined – so could this encourage ‘a relief road’ and brings housing ever closer to the wood – and it is a greenfield site. Its important people read and understand the contents of the consultation document, because this is the future of Bourne and its surrounds. 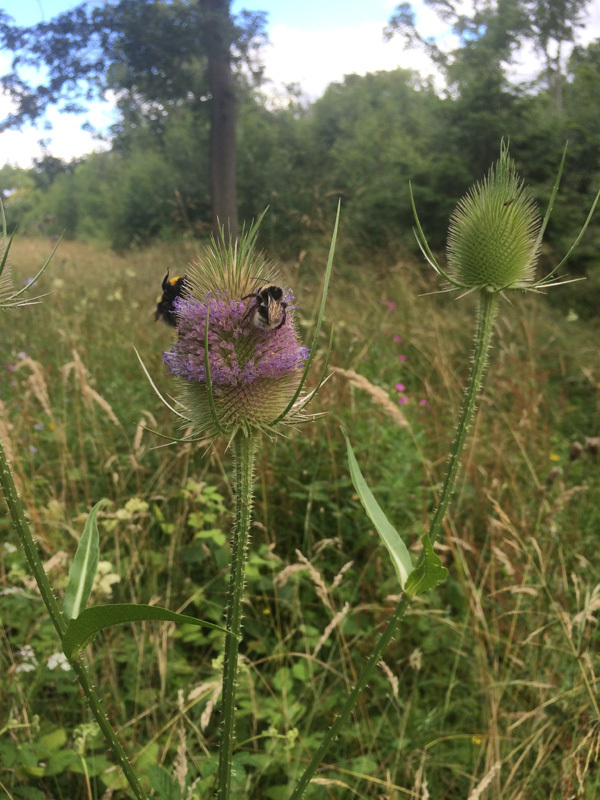 Helen Powell is organising a meeting next Wednesday July 19th to discuss the plan – at 8.30pm at the Abbey Church Hall – all welcome – which may give you a better idea about the consultation form! The consolation document can be view here. Your support is important, thank you! The Friends had a successful Easter Trail on Easter Monday. Children followed a bug trail, answering questions related to the beasties placed around one of the rides. This was followed by a dinosaur quiz, which the children knew the answers to – while the parents struggled! Over 60 children participated in the event, accompanied by their parents and grandparents. 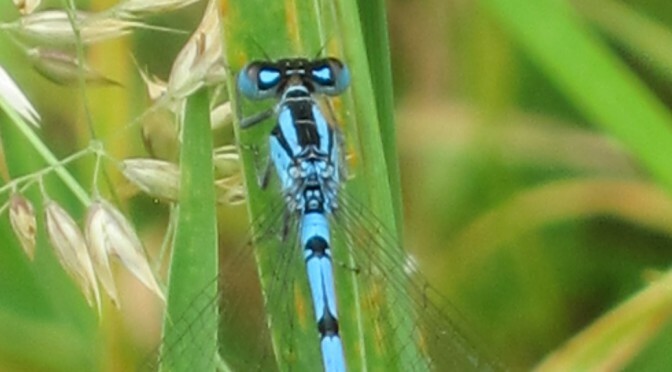 Everyone seemed to enjoy the good weather, and the test of their observation skills and insect knowledge. Everyone enjoyed the trail and the Three Counties Dog Rescue and the Friends stalls. Three Counties Dog Rescue had a stall and tombola, and were showing off one of their rescue dogs. The Friends provided drinks and there were plants for sale. 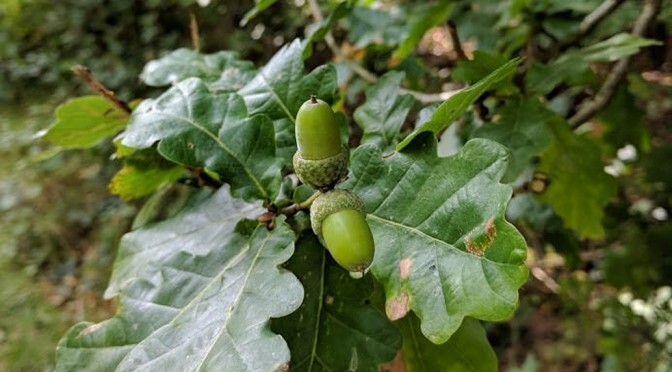 The Friends were also selling their new booklet ‘Bourne Wood – A portrayal of a wood in Kesteven’ which can also be obtained at their next event – a Plant Stall in the Community Orchard, off Beech Avenue, Bourne on Saturday May 27th from 10am to 12pm. Thank you to everyone who helped out at the event. 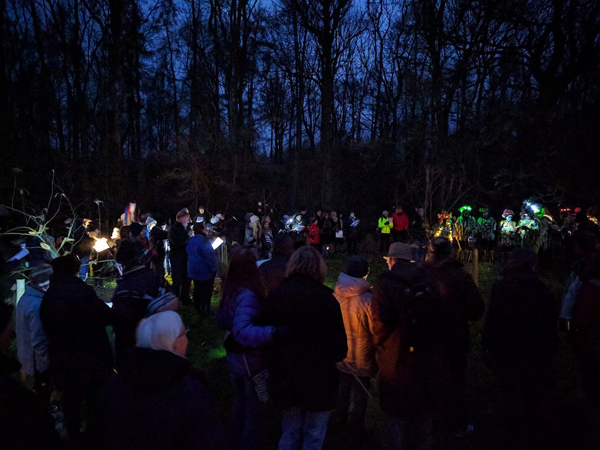 The Friends of Bourne Wood held their first Wassail in the community orchard in Bourne on Saturday in conjunction with Bourne Borderers Morris. 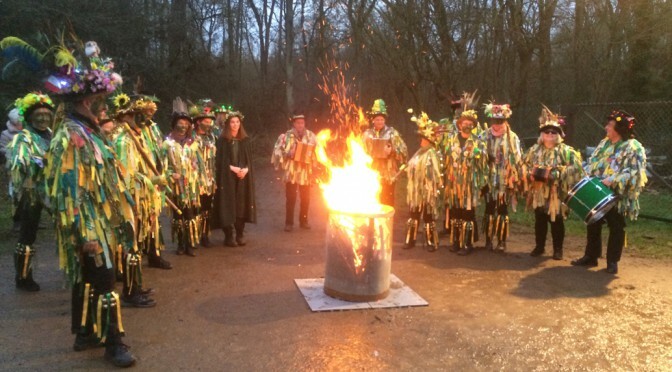 A Wassail is a traditional custom to celebrate the apple harvest and reawaken the trees. The event started at 4.30pm, just as it was becoming dusk with Bourne Borderers dancing. The crowd that had gathered were then offered a taste of either mulled cider or apple juice and some cake, before everyone sung the ‘Apple Tree Wassail’. The gathering then proceeded into the orchard, the way being lit with lots of natural lights. The trees were blessed with cider, and toast was placed in the branches for the robins, by anyone wishing to take part. The Wassail Queen Emily sang a beautiful solo and the trees were wassailed, followed by lots of noise, with everyone present banging pots and pans, and cheering! Once back on the hard-standing the Borderers danced again, Emily sang a further lovely song, and all joined in the ‘Here we come a wassailing’. The evening ended with the Mummers play, and thanks to all for their attendance and help. The Friends would like to especially thank Bourne Borderers for their help and support with this new event. 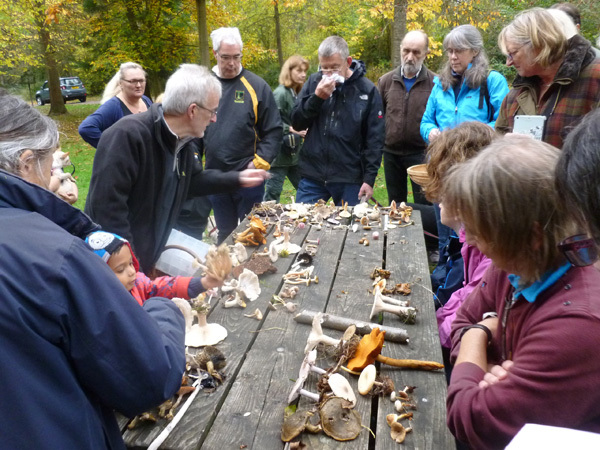 The enduring appeal of mushrooms and toadstools ensured that around 30 people turned out for the fungi foray in Bourne Woods in late October. Dr Vin Fleming gave a brief introductory talk on fungi before we set off into the woods armed with our various collecting baskets and containers. An hour or so later the group had amassed a diverse collection of different types and Vin set about trying to identify what the group had picked. One of the stranger species was the Golden Spindles which we found in grassland near the car park. One of the stranger species was the golden spindles which we found in grassland near the car park while arguably the most unusual coloured species was the lilac toadstool known as the amethyst deceiver. Other types we found included the common puff ball (edible when young! ), shaggy ink cap, sulphur tuft (a poisonous species), trouping funnel cap, blushing bracket, honey fungus, and the ochre brittlegill, the latter so-called due to its dull yellow cap. 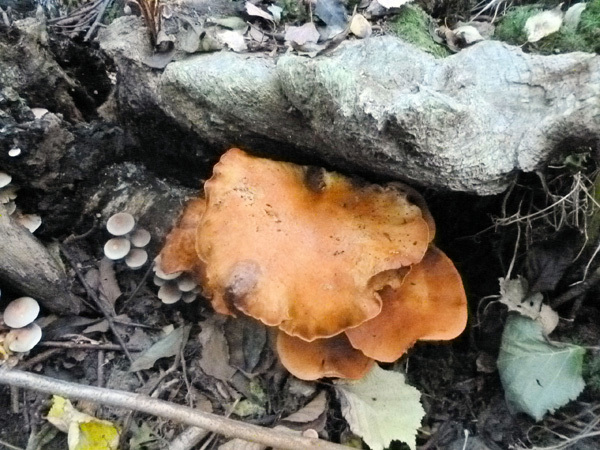 Although it may seem rather destructive, small-scale collecting of fungi is not detrimental to maintaining populations of the various fungi. 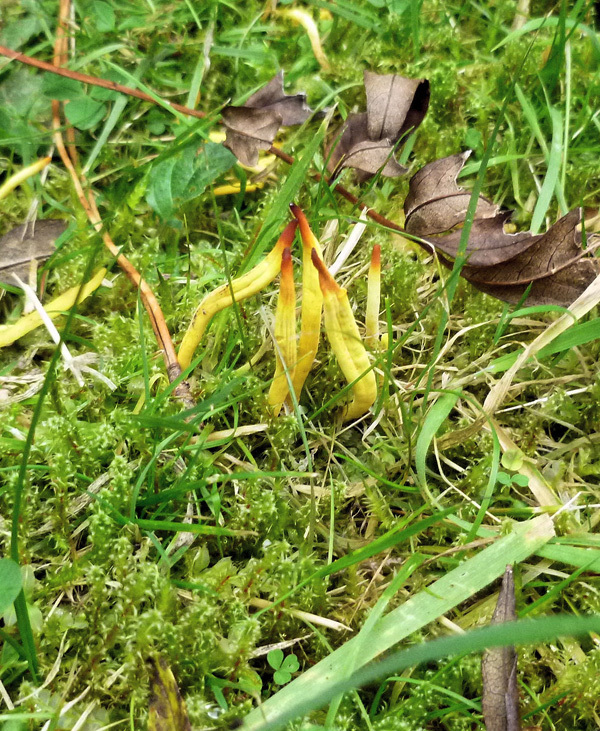 Although it may seem rather destructive, small-scale collecting of fungi is not detrimental to maintaining populations of the various fungi. Mushrooms and toadstools are just the fruiting bodies of the fungus and the bulk of a fungus is underground forming a vast web of branching threads known as the mycelium. 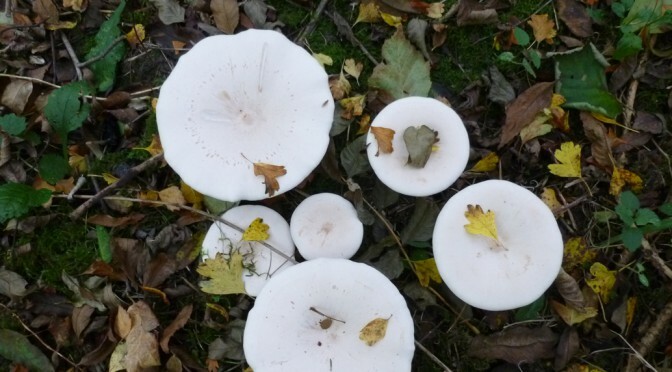 Of course, more caution would be required with very rare species of fungi or where fungi are being collected commercially. 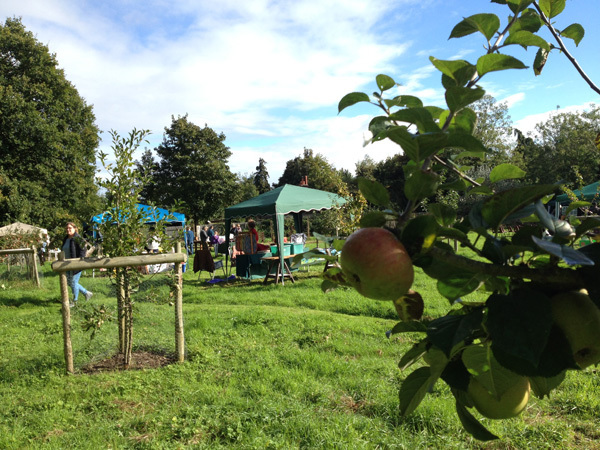 The Community Orchard Open Day, organised by the Friends of Bourne Wood, was thoroughly enjoyed by the many people who came. There was live music from Bourne Folk Club, who play regularly at the Masons and Wishing Well, Dyke. They played two sets of lively music – a real mix of Irish, Folk, Country and traditional tunes. As there was plenty of sunshine people were able to sit and enjoy the music, which fitted in very well with the relaxed atmosphere of the orchard. As there was plenty of sunshine people were able to sit and enjoy the music, which fitted in very well with the relaxed atmosphere of the orchard. At lunch time all the seats were taken with people having picnics, supplemented by the delicious cakes from the cake stall and teas and coffees. Children could try their hands at pebble painting or picture colouring, and while waiting for these to dry were able to hunt for bugs hidden around the trees! There was also a lucky dip, and a guess my name competition. Meanwhile, adults and children alike could investigate the craft stalls, jam stall or the plant stall. 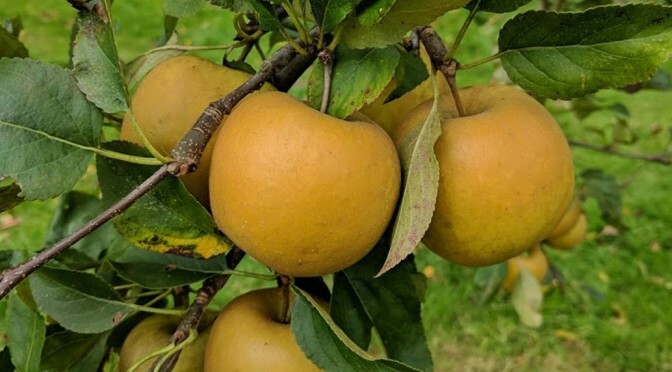 The Friends had also picked some fruit from the orchard, both to show people the different types of apples and pears, but also so people could take some away with them for a small donation. The Friends would be keen to hear from anyone who would like to join our committee to take on administrative and fundraising roles. Further information can be obtained from Sarah on 07760468052. 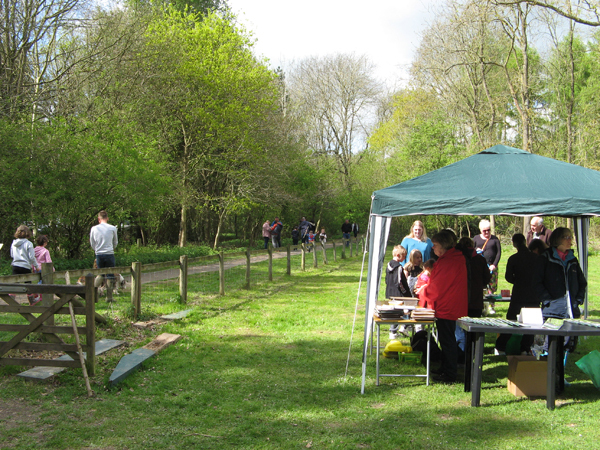 It was very pleasant day for The Friends of Bourne Wood annual Den Building Competition on Sunday. 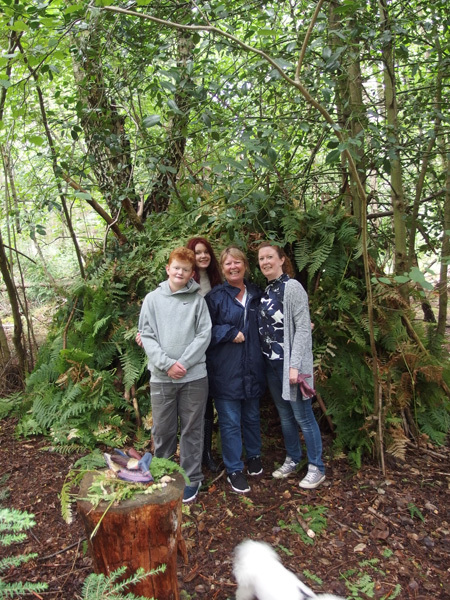 The families used leftover materials from the thinning to create dens deep within the wood, which were then covered with bracken. 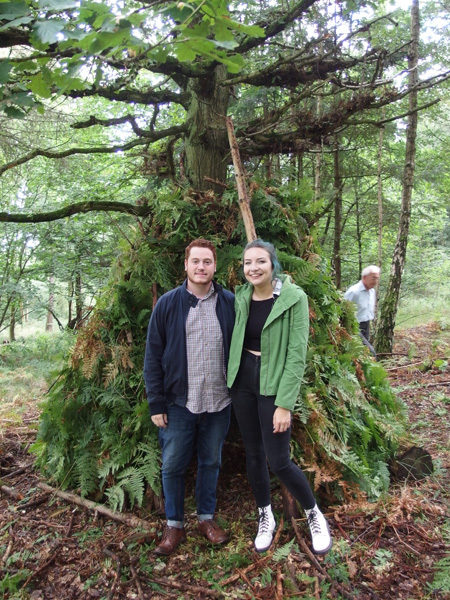 John Wilcockson, the leader of the event explained how to make the dens, suggested extras that could be added and reminded people that all of the family should fit in the den and that they should be waterproof, as a heavy shower similar to the one the day before was due to hit the wood at the time the dens were finished! The morning session was a bit quiet with two small families battling it out, but they were equally matched and it was difficult to judge between them. 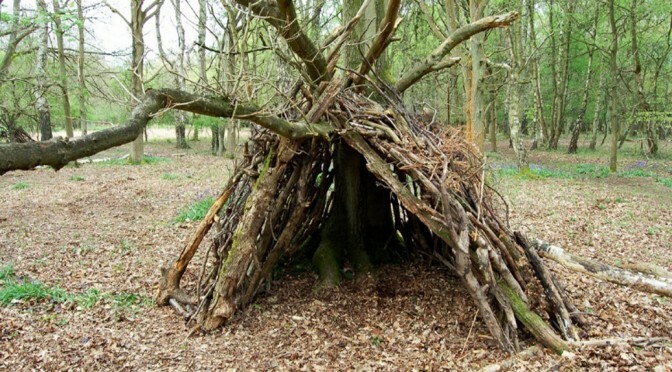 The Copeland family were crowned the winners as their den was slightly more waterproof, when the shower arrived. In the afternoon, we had four groups, so the competition was much more difficult, with the Reid family winning. Another family were visiting from Newark, so were able to join in the fun. 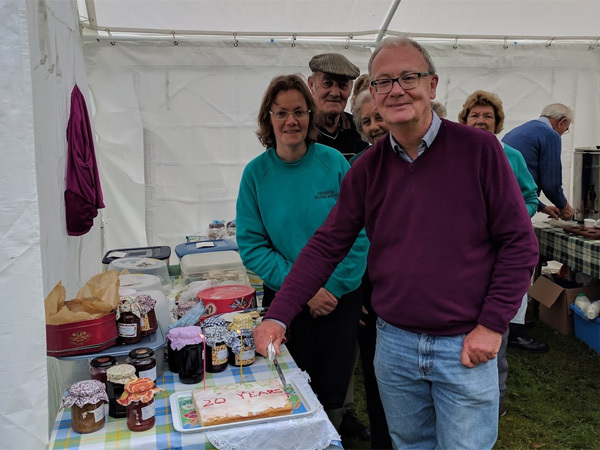 Thanks go to John for running the event and our helpers, Shirley, Brian, Eleanor and John for helping to judge and look after those taking part.